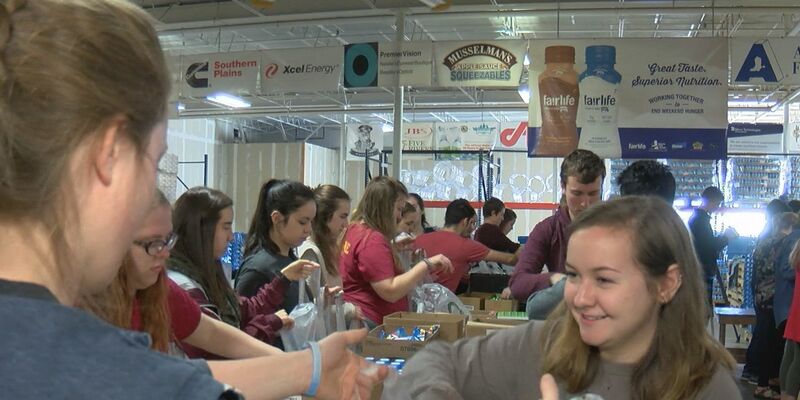 AMARILLO, TX (KFDA) - 38 Iowa State University students spent their spring break giving back to Amarillo’s youth, as part of the university’s Pay it Forward program. For these Iowa students, Amarillo is stop number three of six for the program’s country-wide service tour. Students quickly formed an assembly line and filled bags to help prepare for the Snack Pak 4 Kids Tuesday night packing. The student tour organizers said they found Snack Pak 4 Kids by chance. They even felt like they could relate to the mission themselves. The students’ next stop is Albuquerque.